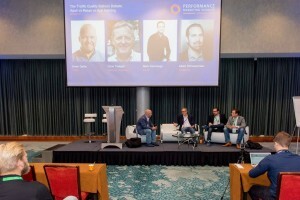 Two weeks ago, I was asked to speak at two events – Performance Marketing Insights (PMI) Europe conference in Amsterdam and the Global Mobile App Summit & Awards (GMASA) conference in Bangalore. Two very different cities, a lot of air miles and some excellent content. Two conferences with very different agendas and attendees, but with one thing in common – the need for insightful data from which to make critical decisions. In Amsterdam I was on stage hosting a panel session with Albert Schwarzmeier, CEO at ad2games in Berlin; Mark Kamminga, Business Development and Team lead at Advidi; and Chris Tradgett, Managing Director at Publisher Discovery. The session title was “The Traffic Quality Balloon Debate.” From the outset we investigated the differences and similarities across the affiliate spectrum and perhaps the greatest take-away was not what we might have expected. Comments made by delegates and the panel indicate a way to circumnavigate this issue is re-branding the misconceptions of affiliate marketing. For example, by referring to affiliates as “partners,” there is a change in perception and a willingness to engage in meaningful discourse around development of the channel and innovative approaches. 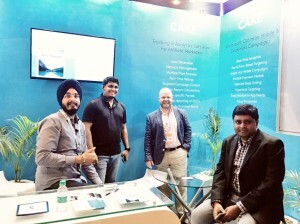 The most important insight from the session is also perhaps the most obvious – that affiliate marketing is so broad a channel that to understand partner activity requires deep understanding of the specific sector. Affiliates in dating and gaming are very different animals from those in retail and FX, yet all of them require insight from accurate data. My journey to India started as soon as microphones were turned off, hands shook and business cards exchanged at PMI Europe. A taxi to Schiphol, a hop to Heathrow and a short wait for my Bangalore flight provided ample time to reflect on the GMASA conference and my keynote at the mobile app summit. In the Americas, Europe and most of Asia there has been an evolutionary transition to mobile marketing and commerce. India bypassed that largely thanks to a dearth of static broadband and the low cost of mobile ownership. Consequently India tops the ownership, usage and engagement charts as well as having some of the fastest-growing mobile marketing companies. India mobile tech companies have proliferated to such an extent that every mobile owner has, knowingly or not, engaged with an Indian-owned marketing technology in the last month. For my keynote, I looked at what’s transpired over the years to understand how mobile marketing has evolved. The last 30 years has taken us from an era of landline communication to a world reliant on mobiles. We have evolved from homes reliant on video cassettes and TV channels dictating viewing habits, to the 21st Century where individuals both stream and broadcast live video on their mobile devices thanks to the technology infrastructure available to everyone. Now the world has an impressive infrastructure in place, the technology evolution will move to iteration and interpretation. As the infrastructure growth slows, we will see the adoption of that technology in new and innovative ways proliferate. In essence we will catch up with the opportunities the last 30 years of development has allowed us. For example, cars have largely remained recognisable as cars since the1930s, and even now with electric and hybrid vehicles, there are still steering wheels, seats, doors, etc. In the same way, the smartphone hasn’t inherently changed since the first iPhone in 2007. Yes, it’s faster, sleeker and has more functions but it is recognisably still a smartphone. With the evolution of technology have come brilliant marketing techniques driven by the desire to communicate brand messages, sell products, inform, educate and entertain. We live in an exciting time when people can realise this technological development, a nd as marketers, advertisers and partners, it is we who drive the global mobile agenda. 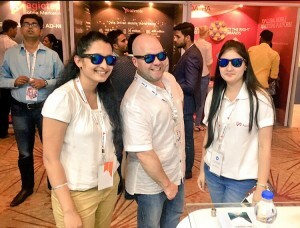 During the Bangalore session, we explored three simple rules performance marketers can adopt on mobile and the opportunities this represents. The best decisions rely on accurate information. To make real-time decisions requires real-time data, so your data stack needs to provide that. A single tracking solution across all channels means accuracy from a single data source, and the CAKE technology has been custom-built to do just that. We can only make decisions on the data available to us so ensure you are monitoring your in-bound traffic appropriately. What does it tell you? This leads us to the second point. Are you looking at the right data and metrics? What rules can you set for different data sets? What are your options? What information are your partners demanding? What feedback can you provide them and will that affect the traffic they send? How can conversions be optimised? That leads us to the third point. You cannot test enough! However, test one parameter at a time, and understand what the outcomes are telling you. If you want to test multiple variables, establish multiple campaigns then change one thing at a time – copy, region, offer, etc. Don’t get confused by changing too many things at once or you will never understand which variable had the impact and therefore unable to effectively optimise. So, USE ROBUST DATA, SET THE RIGHT RULES AND TEST!